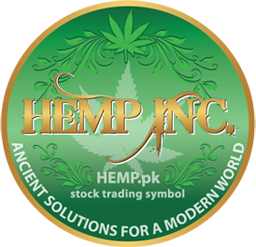 Hemp Inc. (OTCMKTS:HEMP, HEMP message board) stock prices shot 60.56% up yesterday, as media coverage of political developments sparked another marijuana rush. As the charts indicate, HEMP was already on its way up when the news hit the wire. The company’s market value had been moving in leaps and bounds for a few sessions on the rumors that President Obama is about to nominate known marijuana legalization proponent Vanita Gupta for Assistant Attorney General. Still, the increased interest and activity the ticker registered then is nothing compared to yesterday’s outburst. Said explosion of buying was caused by the combination of a fair number of factors. With all the rumors circulating around, many opportunistic traders were actively monitoring the marijuana market and looking for the best moment to jump on the MJ train again. That is why when CNN Money’s coverage and the statements issued at the Gubernatorial Candidate Forum of Arizona hit the web, the market exploded. The combination of both news certainly proved volatile, launching HEMP all the way to the top of the charts and helping other companies such as American Green Inc. (OTCMKTS:ERBB) and GreenGro Technologies, Inc. (OTCMKTS:GRNH) make massive price gains as well. Still, in spite of this most favorable development, investors would do well to remember that all these jumps, without exception, are purely hype driven. Marijuana penny stocks carry in them the potential for peril as much as for profit, and investors should bear in mind the risks that a hyped-up market’s volatility brings. It wasn’t all that long ago when we saw first hand what happens when the hype surrounding a company subsides, or investors start taking profits. As the saying goes – what goes up must come down, and since most of the companies in the legal marijuana branch traditionally don’t have anything that could keep them afloat aside from hype, the fall seems inevitable. Not only that – it would probably happen sooner than many hyped-up investors think. Why? Because the jumps we’re now seeing on the charts of the above mentioned companies appear unsustainable – it’s just that simple.